Two keen gardeners have hit upon a novel solution for publicising Open Gardens events in their county - a website specifically aimed at town and village Open Garden event organisers not only locally but across the UK. Frustrated by the difficulty of finding Open Gardens event dates, the couple thought it seemed the obvious solution and were surprised that it had not been done. 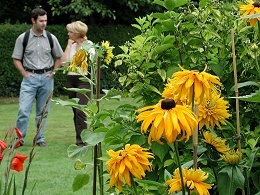 The website benefits organisers of events and also those who attend town and village Open Gardens weekends. Whilst some website directories already exist, they are aimed at bigger events where organisers can afford to resource their advertising. 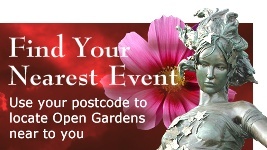 For the humble town or village Open Gardens event, getting event details publicised has presented a challenge until now. The website supports the smaller organisers, those volunteers who bring together gardeners and gardens, plant enthusiasts and hobbyists, Hosta lovers and Pelargonium fanciers - the melting pot of Middle England that is Open Gardens. 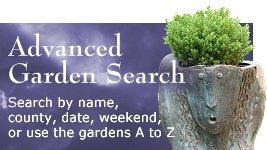 Simple to use and with a clever search facility, the site allows people to find out about Open Gardens events just down the road or indeed at the other end of the country if you fancy a garden visit whilst on holiday. Contributing information is also very simple - fill in some details, press a button and your event is there for all to see, and easily updated when required. Even if an event has passed, organisers should get it on board anyway ready for next year. 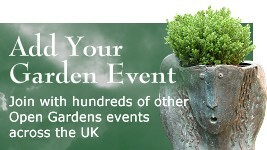 Go to www.opengardens.co.uk for more information.